You Get One Shot at Getting a Training Roll-out Right! That’s where PROMPT Consulting comes in. 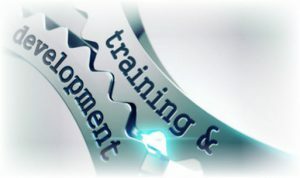 We will help you plan and create a successful training plan, assist you with testing and preparation for your small or big roll-out and provide custom training for your users. “Training” can, but doesn’t always have to take place in a classroom. We offer custom classroom training, development of video clips, the creation of Quick Reference Guides (QRGs), Quick Bytes®, boardroom demos, and on-site support services as a part of the user learning experience. Our trainers are wherever you need training and support. PROMPT Consulting has been providing engaging, interactive and dynamic custom software training, project management, curriculum development, and support services to law firms and corporations throughout the U.S. for over 2 5 years. We know what we’re doing and can help you through this process. We’ve managed training rollouts, training law firm and corporate clients from 50 to 5,000 users throughout the world. Our clients are thrilled because we go beyond the call of duty to ensure a positive and successful training experience for everyone involved. We’ve actually worked in law firms and understand how law firms produce their work product. This invaluable real-time experience sets us apart from most other software training companies. We are able to incorporate that knowledge into our training of your system users. The bottom line: We care about your user-base and we want their training and support experience to be positive. Our professional training team provides training applicable to your customized environment using a variety of adult learning methodologies to keep everyone learning, engaged and having fun during their training session(s). We remove the intimidation factor that can often inhibit adults during training classes. We focus on the specific needs of the group being trained, tailoring training for attorneys and CEO’s, paralegals, legal secretaries, word processors and everyone in between. We NEVER sell software, so there is never a conflict of interest when we recommend a software solution. Through the use of dynamic and skilled trainers, customized training materials, hands-on and demo training, we are able to engage your employees while conveying the important information they need to increase their productivity. To round out the learning experience we can supplement training with customized Quick Reference Guides (QRGs), e-learning and online video tutorials (QuickVids) for those who prefer self-paced training and for those who want to reinforce what they have just learned. We make sure that training is interesting, informative, interactive and yes, even FUN! Those who attend PROMPT Consulting classes enjoy returning to our classes, demos, and workshops because of their positive experience feeling armed with knowledge to apply to their daily work life. PROMPT Consulting has the distinction of being asked by its large and medium-sized law firms and corporations to return to train users on the next roll-outs, thanks to the high level of our client satisfaction. Training with PROMPT Consulting will increase user confidence and productivity as they learn how to apply new features and functions to their actual work. Increasing user productivity will increase your revenue by making people more efficient and effective with the software tools they are provided.